The SoHo Lounge 16 piece dinnerware set provides service for four. The unique rounded square design adds a contenmporary touch to any place setting. The set includes four each of: dinner plate dessert plate bowl and mug. 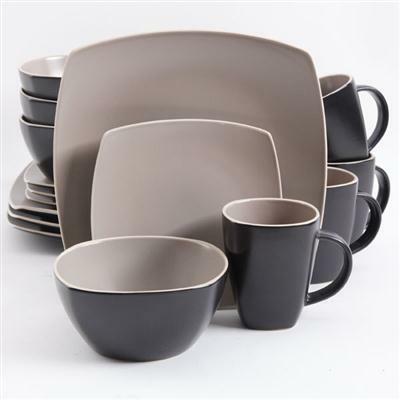 - stoneware construction - matte finish - dishwasher safe - taupe interior and black exterior. Taupe/Black.